For classic elegance and timeless beauty, one can do no better than our Cream Bell Jar arrangement. A froth of snowy blooms, effortlessly dazzling against yellow-tipped petals, will light up any room with their distinct show of exquisite luxury. 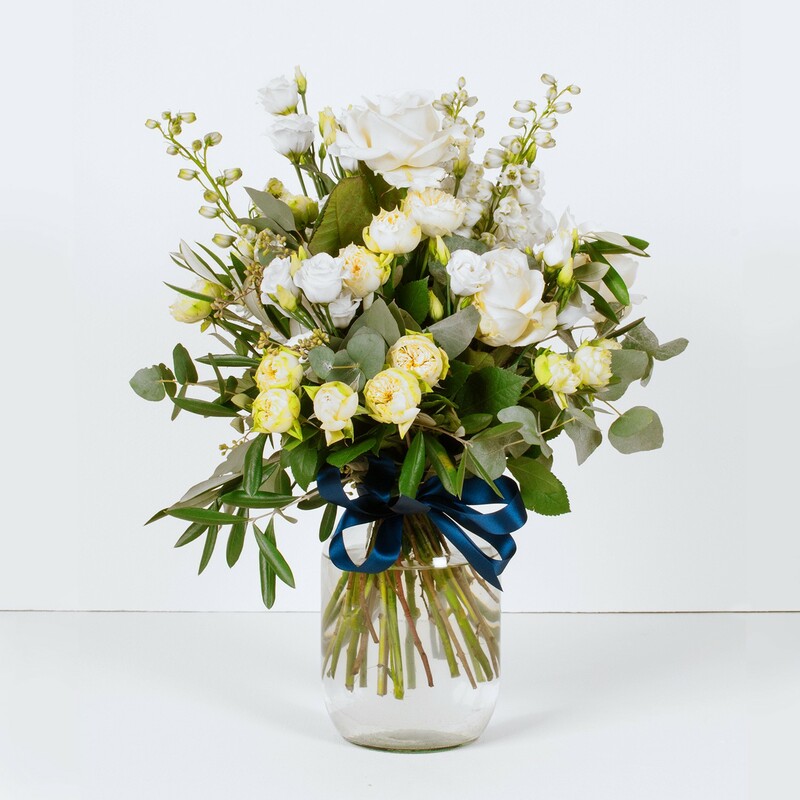 One of the most tasteful of all flowers, the white rose, takes centre stage in a bouquet that radiates charm. We’ve then combined graceful lisianthus, as well as sprays of delphinium that add height with their cream buds. Whether choosing a memorable table-centerpiece for a wedding or summer dinner party, or simply keen to add some chic glamour to your home, this is an arrangement that will become a real talking point.